Have a few more home improvement projects to finish before the holidays? Now is your chance to save big on paint! 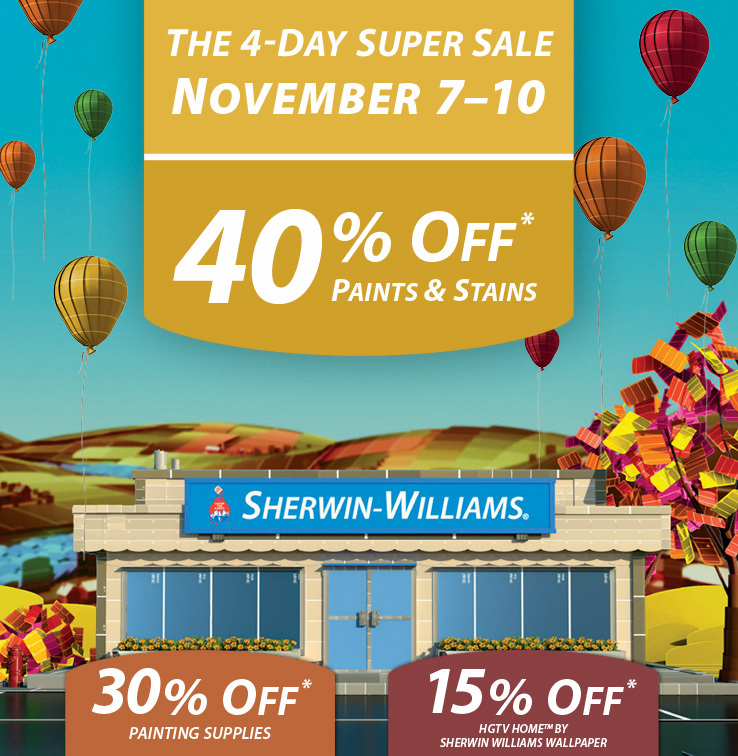 Sherwin Williams is offering 40% off their paint from today through November 10, 2014. This is the very best deal they offer, and it only comes around a couple of times every year. You can also save 30% on painting supplies and 15% on wallpaper. No couple required, but you can get all the details here. What are you going to paint? And, tell us what color you selected for your next project!